Miguel Cora has served Northeast Ohio for nearly twenty years, he specializes in REO, Investment properties and Property management. As a licensed Real Estate Agent Miguel is very flexible and has worked with a diversified staff and customer base dealing in both traditional and REO transactions. Active in the community and willing to participate in many local events, he has expanded the relationships between owners, community leaders and the Real Estate industry. 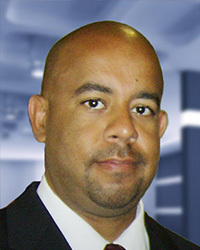 Miguel also completes BPO reports, which has required him to stay current with market trends throughout Northeast Ohio. "I always say that my biggest thrill comes from accurately assessing my clients' needs and helping them achieve their dreams of home ownership and relieving the stress of a real estate transaction by providing informative council developed from years of experience".